Fr. 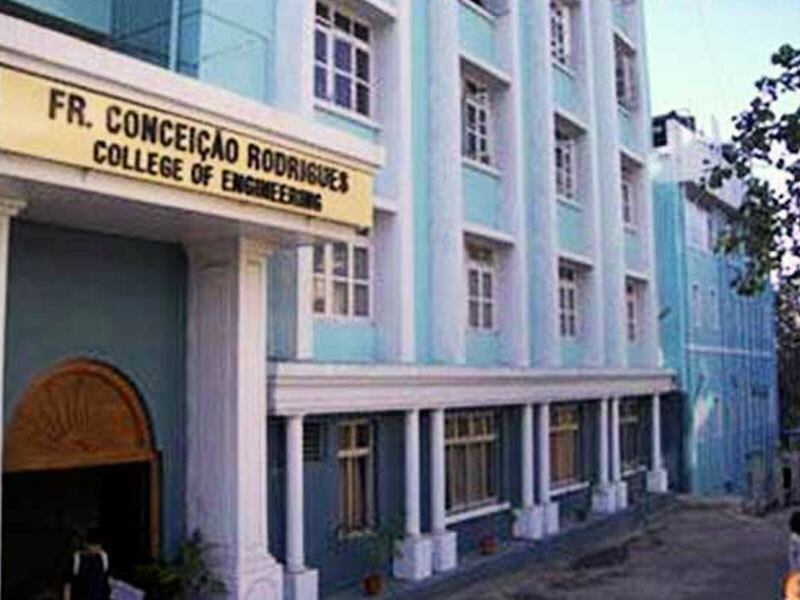 Conceicao Rodrigues College of Engineering (CRCE) was established in 1984 as part of Fr. Agnel Technical Complex at Bandra, Mumbai by the Society of St. Xavier Pilar and is named after its founder late Rev. Fr. Conceicao Rodrigues. The college is affiliated to University of Mumbai. Address: Fr Agnel Ashram, Bandstand, Bandra (W), Mumbai, Maharashtra, India. B. E. (Production Engineering) : Started in 1984. The sanctioned intake capacity is 60. B. E. (Electronics Engineering) : Started in 1987. The sanctioned intake capacity is 60. B. E. (Computer Engineering) : Started in 1991. The sanctioned intake capacity is 60. B. E. (Information Technology) : Started in 2001. The sanctioned intake capacity is 60. Library: is situated at First floor of College building. Total carpet area of the library is approximately 472 sq.m. Total numbers of books available are approximately 28,000. Seating capacity is 100. Library is open for 11 hours per day. Also a dedicated Internet center is available for students with a total carpet area of 32 Sq. Mt rs. Hostel: We have purchased four flats measuring 3200 Sq.ft at Kalina, Santayana (East) to provide accommodation to the candidates taking admission to our College from out of Mumbai / Maharashtra. Out of four flats, one flat has been given to the Principal as rent free accommodation.At present three flats are occupied by the students. In each flat there are three rooms and six students are staying in each flat. Total 18 students stay in the hostel. The Hostel fee of Rs.3,000/- is being collected for lodging only. Event Details: IEEE will be conducting Tech junkies for the Second year students.Its a Hobby club where students will learn the Basics of electronics,Usage of different Electronic Instruments ,Software like PCB-Wizard,various ICs and also learn to make various analog projects which will be useful in their coming semesters. thank you for your time for this fantastic read!